At the last NORAC club meeting, the topic of batteries for portable radio use came up. Hot items of discussion were jumpstart packs, store-bought LiFePO4 "batteries" as well as DIY LiFePO4 solutions. These "new" Lithium-based options allow for both high density storage of energy as well as high discharge rates, perfect for powering a "mobile" rig outside of the car or shack. This pack can be found locally at https://www.canadiantire.ca/en/pdp/motomaster-eliminator-750a-lithium-ion-booster-pack-and-power-bank-0111906p.html. Convenient USB charging and a proven 1.5 hours of RX runtime with Bob's FT-857D make this a very attractive option for QRP rigs and efficient QRO rigs. Unofficially, we understand this pack to have a capacity of 4800mAh at a nominal 5V... which equates to around 2Ah at it's 12V output setting. As the rule is to not overdischarge Lithium packs, Bob works approx 1.5Ah of use from this pack. 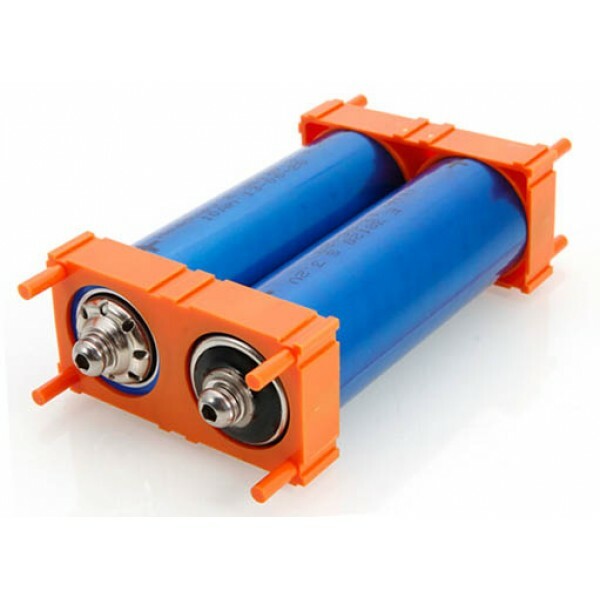 This 20Ah rated LiFePO4 "battery" can be found on Ebay from a vendor in Ontario. It comes in the form factor of a classic battery, but inside contains the LiFePO4 cells and a fully-featured BMS. Capacity testing will show if the 20Ah rating is correct, but if so, for $220 CAD plus a bit for shipping, this is a decent price for a no-assembly-required unit with a LOT of usable capacity. Charging is not as simple as the jumpstart pack though. Ideally this battery should still be charged as per the LiFePO4-preferred charge protocol: CC/CV at C/4 maximum charge rate to 13.8V DC. You may need a special charger to do that. On the DIY side of the spectrum, I am in the process of building a 12.8V nominal, 10Ah LiFePO4 pack with a basic BMS for cell protection. The build includes 4 x Headway 38120S 10Ah LiFePO4 cells and this basic BMS. Headway also has 12Ah and 15Ah cells, but to keep the pack super small, this build will use their 10Ah cells. The 10Ah cells are approx 38mm in diameter and 132mm long. With the cell holders, we expect a final pack size of approx 8cm x 10cm x 15cm. This setup will provide approximately 7-8 Ah of usable energy. Max discharge rate of 3C (30A) in all conditions will easily cover the DC input power requirements of my Yaesu FT-891 running at 100watt TX output. I expect to get 3-4 hours of working radio operation out of this pack - just enough to hopefully activate a summit or a park. 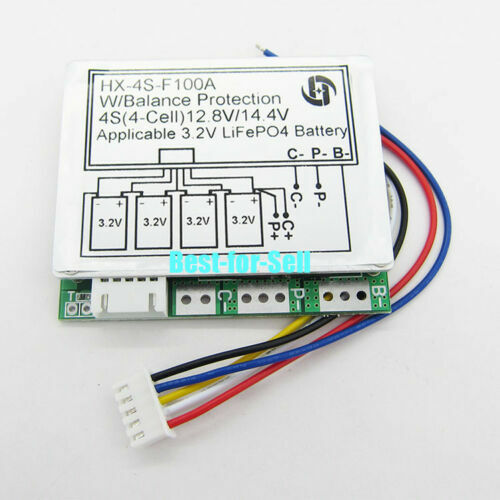 The nice thing about LiFePO4 is that it is both relatively safe for DIY and can provide large amounts of power quickly without reduction in overall capacity (no Peukert). My inspiration to build this pack has come from folks like OH8STN and more specifically Julian's video https://www.youtube.com/watch?v=nDoQoVA0hAc that outlines the pack build process. I have, however, selected a different BMS as I wanted to keep the cost of the project down. Hopefully this BMS is as quiet as the more expensive BMS chosen for OH8STN's reference build. I estimate the cost of this project to be approximately $150 CAD shipped, but we'll see if there are customs fees and taxes levied when the parts arrive. Once the battery parts arrive in the mail, I will perform a bottom balance for the 4 cells (via my trusty Revolectrix Cellpro Powerlab 8) and then assemble and test the pack. With the Powerlab 8 I can perform very controlled capacity testing. I'll charge the pack either with my trusty CC/CV power supply, or the Powerlab 8 itself. As I go, I'll make updates to this guide.